Blue Dragon has been working in the Hue province, in the centre of Vietnam, for over 10 years to ensure children are safe from trafficking and exploitation. We do this by financially supporting children to stay in school; building necessary school and community infrastructure; providing education around trafficking to children, teachers and families; and helping families with loans to start a small business so they can have reliable incomes and break out of the poverty cycle. And sometimes we do so much more. When Trinh, a Blue Dragon social worker, found out that 15-year-old “Yen” had to leave school and drive 1000 kms to work in a garment factory in Ho Chi Minh City, he took action. Yen’s family had just found out they would no longer be receiving the small amount of financial support from the government each month. Without this additional support, Yen’s family would struggle to survive, so as the oldest child of 4, Yen felt responsible to go to work and reduce the family’s financial burden. Trinh knew he had to get Yen back home and back to school so that she can gain the tools she needs to find a secure job in future and break out of the poverty cycle. So Trinh visited the family to explain the long term benefits of staying in school, and convinced Yen to come home and go to school. But Trinh didn’t stop there. 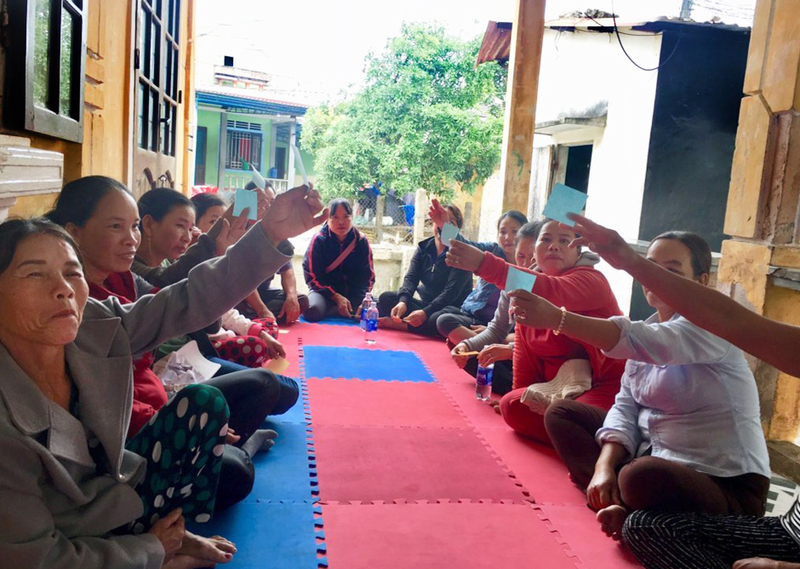 Once Yen was safe and sound, Trinh spoke with the local women’s union and village elders to organise a small, very low interest, loan to help the family through this time, and will help Yen’s mother to find a reliable job in the area. Knowing how important education is, Blue Dragon then organised for parents in the community to come together and learn about the risks of exploitation, trafficking, the importance of education to create a resilient and safe community. By having regular contact with the families, and following the Blue Dragon individualised approach, social workers are able to pick up the signs, promptly respond, and provide personalised care for a family. This helping hand has meant that families within the community are more alert to the dangers and what support is available so that their children won’t need to leave school and work to support the family. Instead, Yen, and other children within the community, can stay safe in school and make their own decision about what job they want to do in the future. We rescue children in crisis every day, but by going above and beyond it is truly transforming young lives.